Ships with captive, factory installed gasket made of high temp silicone. It won’t fall out, get lost, or slow you down during installation! No assembly screws! Patented Ficient Lock TM system provides fast installation and is compatible with our light fixtures to make installation 4 times faster! 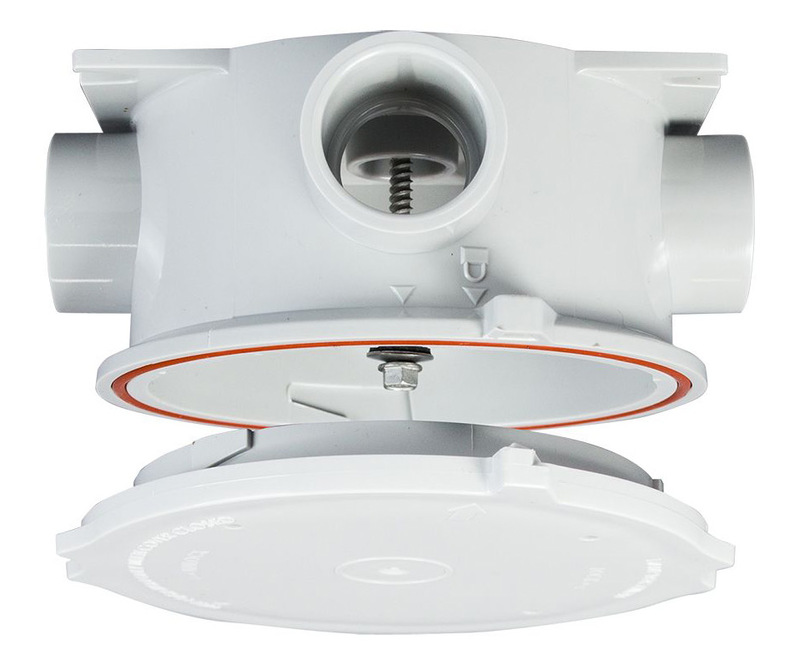 The watertight, industrial-grade junction box that installs four times faster. The Q-Box™ installs four times faster than other competitive products on the market. It is a durable junction box that is UL Certified for wet locations in the U.S. and Canada. With a pre-installed gasket, pre-installed installation screw and no assembly screws needed, the Q-Box™ has been strategically engineered to save time and increase installation efficiency. And, its 19.5 cubic inch volume gives you more space to do your work!